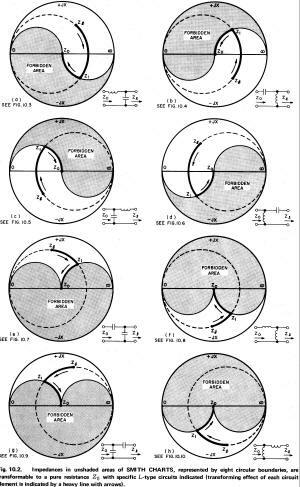 One of the few aspects of electronics that has not changed since the early days of the craft is impedance matching and, in particular, use of the Smith Chart. 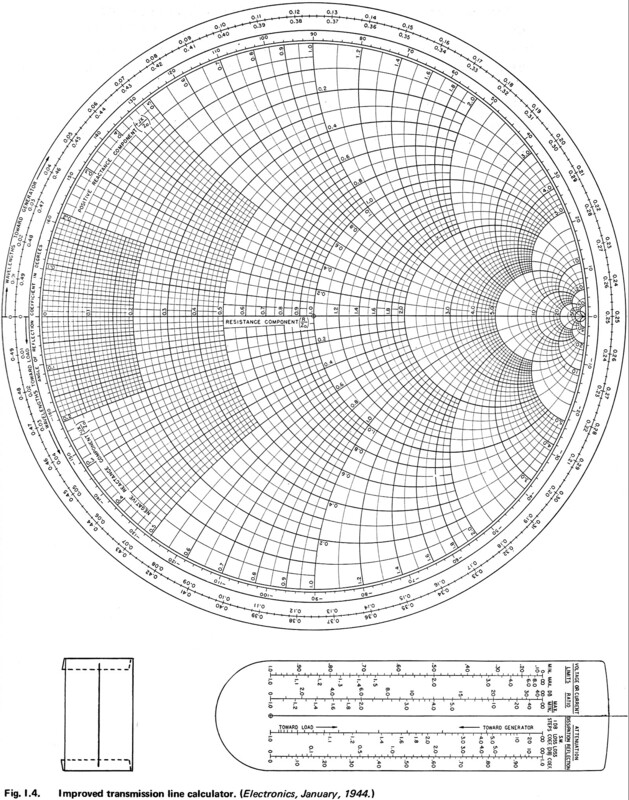 Many an engineer, technician, and hobbyist has been intimidated by the chart's appearance; however, after using the Smith Chart a few times for impedance and/or admittance matching, quickly develops the knack of applying it. 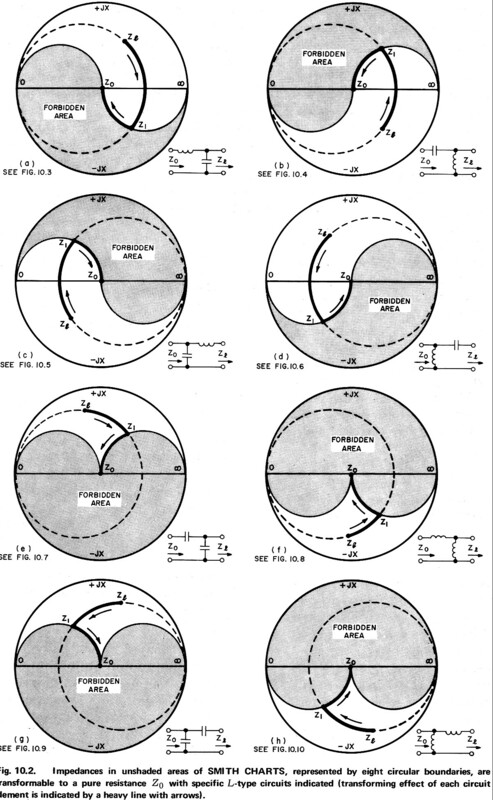 If you have an affinity for mathematics and are comfortable with complex numbers, all the arcs and circles makes perfect sense once the simple equations governing its construction are presented. As with so many other things, you wonder how anyone ever thought to do such a thing, and at the same time wonder why it took so long for someone to think of it. RF Cafe visitor Gary Steinhour (KF6U), who recently donated a part of his cardboard slide rule calculator collection for display here, also very generously provided this mint condition copy of Phillip H. Smith's classic Electronic Applications of the Smith Chart in Waveguide, Circuit, and Component Analysis book (1969 edition). It even has the KAY Electric Company postcard in it and the transparencies for use on overhead projectors. Used copies are available for under $20 on Amazon, and the most recent release (1995) can be purchased new on Amazon as well. 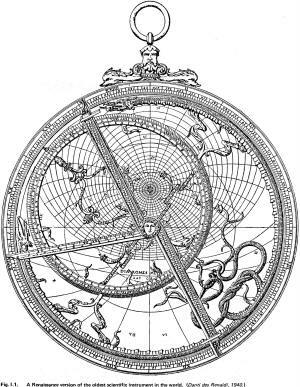 Having been written by the Smith Chart's inventor, first-person insight into its history is gained. 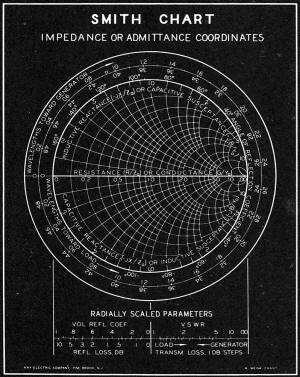 For instance, prior to conceiving of the circular version of the Smith Chart in 1938 (first published publically in 1939), Mr. Smith devised an impedance matching chart using rectangular coordinates. 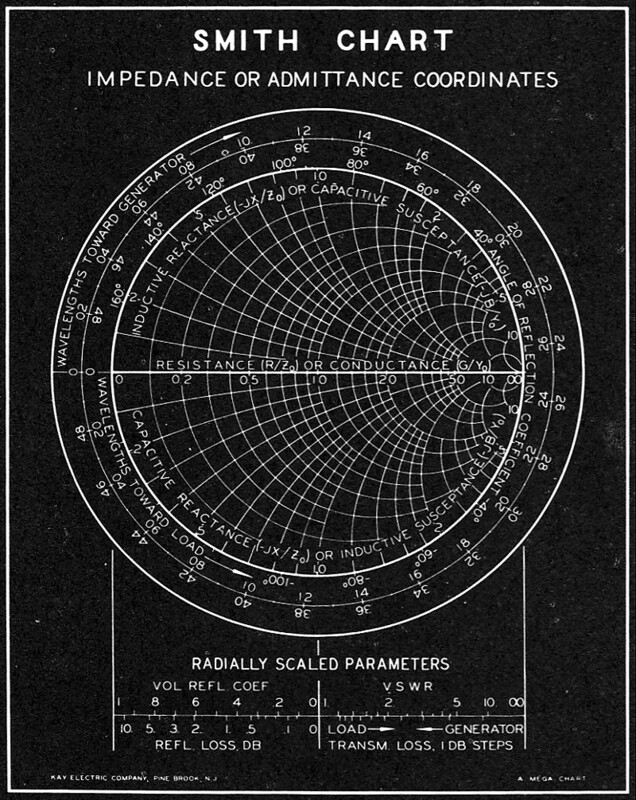 In 1949 the labeling of the chart was changed so it would display directly either normalized impedance or normalized admittance, and in 1966 radial and peripheral scales were added to show the fixed relationship of complex transmission coordinates. That is the version universally used today. 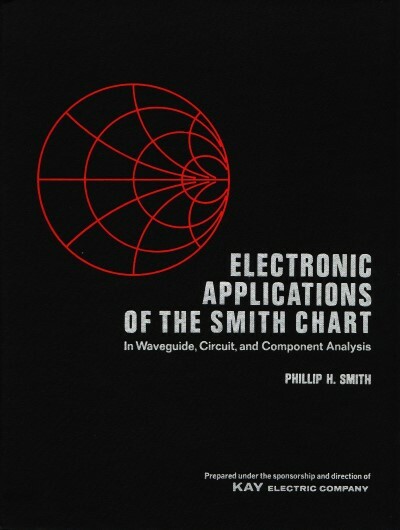 If you have the interest and the time to really delve into the deep intricacies of the Smith Chart, then this is the book for you. The book is chock full of tutorials and application examples. A few if the more interesting illustrations are presented here to whet your appetite. A colorful version of the forbidden areas theme is printed on many types of RF Cafe T-shirts, hats, and more, using the title "RF Engineers...We Are the World's Match Makers". 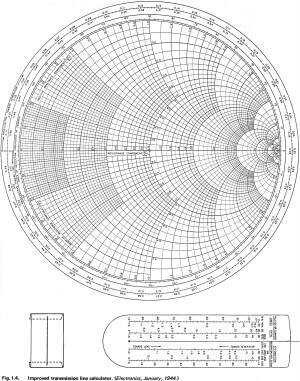 Although I began by asserting that the Smith Chart has not changed in most readers' careers, in fact there has recently been a new twist added - a 3-dimensional version created by Andrei Muller and cohorts. 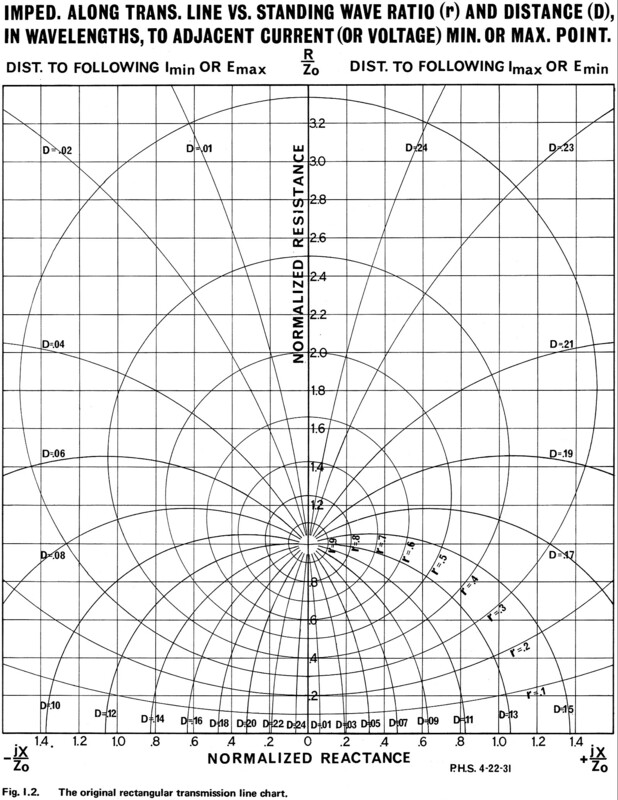 "The 3D Smith Chart demo version has 3 planes: normalized impedance plane, reflection plane and 3D Smith chart. 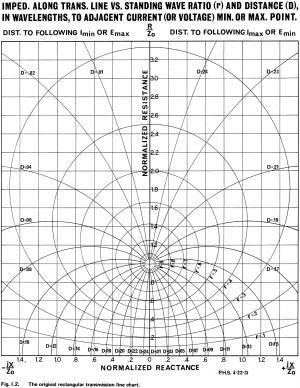 One may draw the impedance and get the image of it on the reflection coefficient's plane or on the 3D Smith chart. 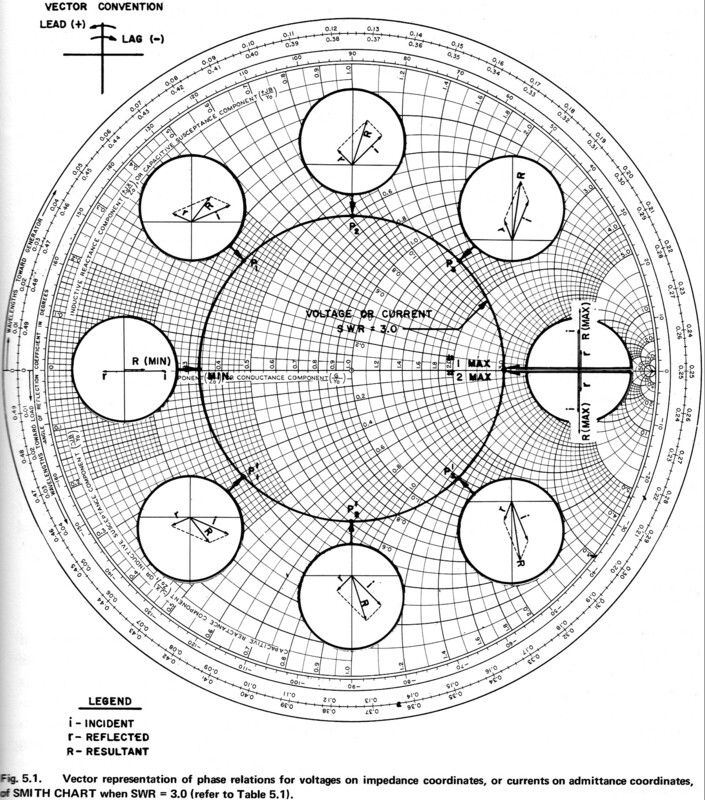 On the 3D Smith chart one can rotate it and play with the constant r,x, and abs(z) circles. 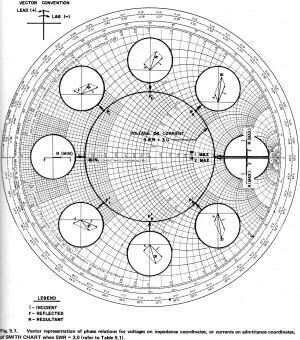 The 3D Smith chart includes both extended reflection and impedance planes." It will take a bit of experimentation to figure out exactly what is going on in 3D after years of using the standard 2D version we are all familiar with. Andrei says that for now, there is no plan to extend the functionality beyond plotting of S-parameters, but he and his co-developers are open to working with someone that is interested in integrating the concept into a commercial application. It is copyrighted so permission is required. 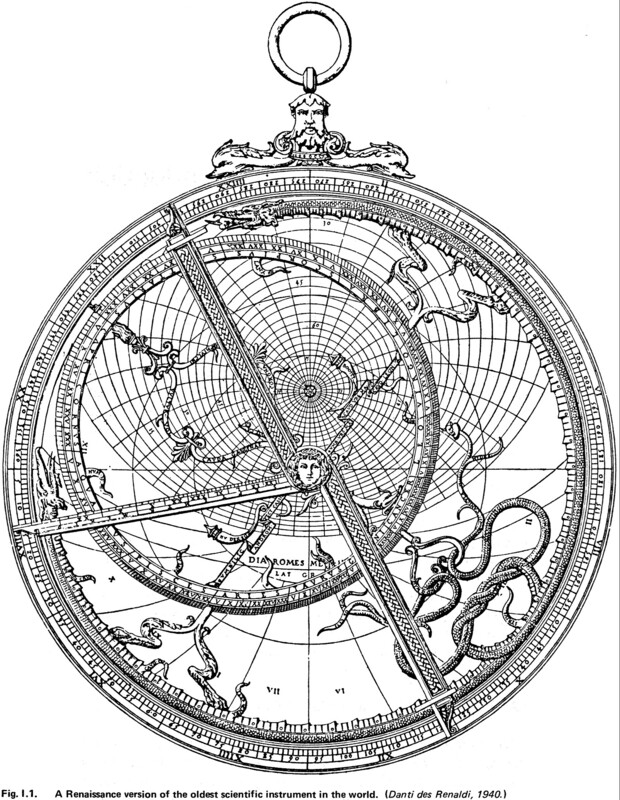 See also "New RF Applications for the 3-D Smith Chart."